If you are thinking about adding a lean-to conservatory to your property then our guide to lean-to conservatory prices will provide you with all the information you need. From lean-to conservatory benefits, to planning permission and prices, our guide presents you with everything you need to know about the lean-to conservatory. Why Build A Lean-To Conservatory? The lean-to conservatory or Mediterranean conservatory as it is also known, is the simplest conservatory style on the market. Their clean symmetrical lines provide a contemporary appearance, making them ideal for modern houses. For those who prefer an understated look, the lean-to conservatory provides a fuss free structure. The lean-to conservatory is a popular style for homes with limited space. Perfect for properties with low eaves, such as bungalows & cottages. The lean-to conservatory is also ideal for period terraces. This small conservatory will not restrict space at the side of the house. Those with Victorian or Edwardian terraced houses often create a long, narrow lean- to style which extends into their garden. Lean-to conservatory prices are also the most affordable, as a lean-to conservatory offer exceptional style and design hat can be kept well within your budget. The lean-to conservatory offers many benefits. If you are on a budget then a lean-to conservatory makes sense financially. It offers you all the advantages of extra space but at no high cost. It will also add value to your property, making it a great long term investment. 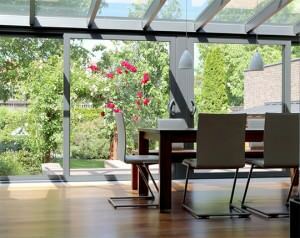 A conservatory will make your home much more attractive to potential buyers. A low pitched roof. This conservatory roof design means that the lean-to conservatory is suited to a wide range of properties. It can be easily adapted to fit into awkward spaces, without compromising your aesthetics. Low maintenance. UPVC lean-to conservatories are very low maintenance. Highly durable, they will last for many years at a minimum cost. UPVC will never rot or warp and a variety of efficient glazing options means your conservatory can be kept clean, warm & secure. Versatile. 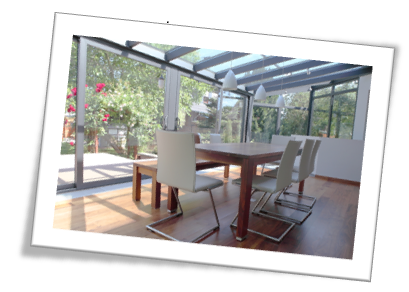 Lean-to conservatories can be tailored to a number of uses. Many convert their lean-to conservatories into a small home office. Others use it as an additional dining area. Whatever you have in mind for your lean-to conservatory, it will provide you with many years of use and enjoyment. Lean-to conservatories are available in a variety of styles. Their base and roof offer great versatility. This flexibility makes them highly desirable amongst home owners and buyers alike. The lean-to conservatory provides a home owner with man design options. This simple structure is even used in combination with other conservatory styles such as the Victorian and Edwardian. This combination is often referred to as the P-Shape conservatory. Options for the base include dwarf walls, full height glass panels or UPVC panels at the foot of the conservatory. UPVC panels are the cheapest option but dwarf walls will provide you with a greater level of privacy, security & efficiency. In regards to roofing material, options include glass or polycarbonate. Polycarbonate is more affordable but glass will capture more light. Polycarbonate is often chosen due to its low maintenance but with self-cleaning glass now available, conservatory glass roofs have become easier to maintain. When planning your lean-to conservatory, there are many considerations to bear in mind. How big is your property? Will a conservatory compliment your existing brickwork? And perhaps the most important question of all will your conservatory require planning permission? A conservatory is considered to be a permitted development not needing planning permission however; your conservatory will be subjected to the limits & conditions listed below. Will your conservatory be seen from either a road or public right of way? Has your property been extended or had any additions in the past? Are there any restrictive covenants applied to the property? Are you located within a Conservation Area or an area of Outstanding Natural Beauty (ONB)? You can find out more about conservatory planning permission by visiting the governments planning portal website. If you require planning permission, then our trusted local installers can help. Here at Conservatory Online Prices, we operate a wide network of fully accredited conservatory companies. We can put you in touch with a reputable company local to you. Building regulations will not apply if your conservatory is at ground level, less than 30 square metres and glazed. All glazing and electrics must comply with current building regulations. For the full criteria, please visit the Governments Planning Portal. The cost of your lean-to conservatory will depend on many factors including style, materials and your location. The most important factor to consider is size. The size of your conservatory will greatly affect the overall price. Generally, the bigger your conservatory, the more expensive it will be. We have put together the following example prices to give you an idea on how size affects your conservatory cost. If you are looking for an instant conservatory cost then our conservatory cost calculator will provide you with free conservatory prices. Get instant prices for a range of conservatory styles. 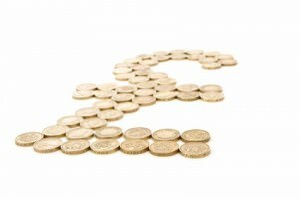 Our cost calculator will provide you with multiple online quotes.